CinemaCon revealed a special scene from an upcoming horror movie It: Chapter Two. CinemaCon has been a blast for moviegoers. It continues to flash some of the special footages from the eagerly anticipated movies. And recently the event exhibited some chosen scenes from the much-awaited sequel, It: Chapter Two. Published in 1986, Stephen King's nostalgic horror novel IT would prove to be one of the author's biggest and most terrifying books. Set both in the 1950s and in present times, the book followed a group of friends as kids and adults, as they battle an ancient evil who walked the earth in the semblance of a terrifying clown. IT was first adapted as a TV miniseries in 1990, starring Tim Curry as Pennywise, the ominous clown who feeds on children. In 2017, IT was revived for a feature film treatment, with Andy Muschietti taking on helmsman’s duties. Perfected by Bill Skarsgård's performance as Pennywise, the film would go on to be a surprising worldwide blockbuster with an international gross of around $700 million. It: Chapter Two is set to take place 27 years after the first movie. In 2019, Pennywise and his adolescent foes return, only this time the kids are all grown up and ready to finish their long started feud with the horrifying entity who agonized them in their youths—27 years ago. 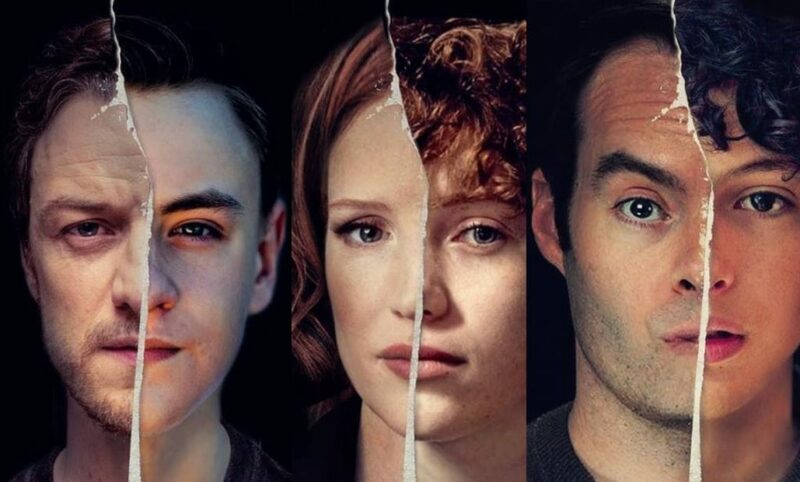 Bill Hader, Jessica Chastain, and James McAvoy lead up the cast as the matured versions of the Losers' Club. Tuesday at CinemaCon in Las Vegas, Warner Bros. gave their visitors the first look at footage from IT: Volume Two. 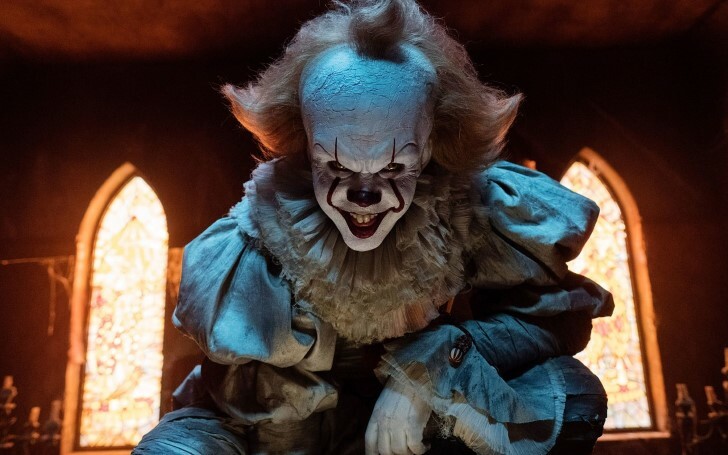 The presentation began with director Muschietti keeping up with the promise he made to CinemaCon attendees ahead of the original IT when he told them "You're gonna s**t yourself." You May Also Like: Why Is 'Pet Sematary' Spelled In An Unusual Manner? The 2019 footage began with an extended scene of Chastain as an adult Beverly Marsh returning to the apartment in Derry where she lived with her abusive father in the first movie. The scene starts with Beverly knocking on her former’s apartment door, after which an old woman shows up whom Beverly doesn't recognize. "Dear it’s not for me to tell you this but your father passed away,” the old lady informs Beverly. The granny then invites Bev in for a drink, asking her if the place is like she remembers to which Beverly replies, "It's much cleaner.” The old lady goes to make tea and Beverly, looking around the rooms, finds an old blood-covered letter that brings her the reminiscent of a happy memory from childhood. The lady then brings the tea and puts on music. Bev looks at a window and sees a bunch of bugs gathering there, and the woman apologizes for the heat, saying "It's that time of year." The oldie then utters the strange statement, "No one who dies in Derry ever really dies," which confuses Beverly. She then vanishes off for a moment, wearing a creepy grin (the first hint that the old woman is, in fact, Pennywise the Clown in disguise). The grandma then suddenly comes and asks Beverly how it is to be back in Derry again. Bev is dumbfounded and says it's strange and the woman questions, how so, but their dialogues are interrupted by the buzzing of an oven. The old is making cookies and persuades Beverly to stay a little longer and have one. As the woman goes to fetch the cookies, Beverly looks at some old portraits on the wall and asks about one particular picture of the woman's parents. The lady answers Bev that her father used to work at the circus. Beverly looks at some more old pictures and the woman in the background suddenly storms off the scene, showing supernatural speed, peeks at what Beverly is doing and then quickly goes back to the kitchen. As Bev takes note of another picture of the lady's father in the circus, the woman reappears in the background, moving with terrifying speed. She then tells Beverly she was "Always daddy's little girl," and asks her if she is still daddy’s little girl? Of course, Beverly was horribly tormented by her father in the first film, so the question itself is frightening. The lady then seemingly charges in, making a frightful sound. The CinemaCon assemblage was left in anxious about Bev's fate however, as the clip then jumps to showing both the kid versions of The Losers' Club and the adult versions, as well as shots of titular clown flying above, with a bunch of red balloons, and shots of the circus and characters walking through water. The reel ended with Pennywise emerging out and saying "Hello" to a little girl. From the above description, it's clear that the sequel is going to bring the horror as hard as the original movie did, and maybe even more. It'll be interesting to see if the IT: Chapter Two can deliver the same huge box office grosses as the first did when it arrived in 2017. IT 2 is scheduled to be released on the 6th of September, 2019.